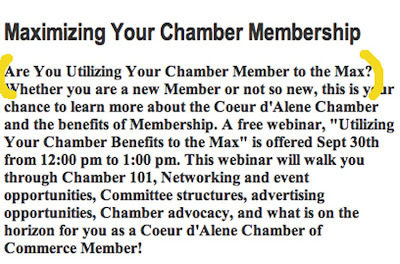 Can someone please pass that along to the Coeur d'Alene Chamber of Commerce? Each year they print a calendar which is available for their members, locals and tourists to purchase. Usually they are filled with beautiful photographs showcasing the pristine and spectacular nature of Coeur d'Alene. This year's was filled with mediocre digital camera photos from chamber employees and sprinkled with a few fabulous images taken by experienced photographers and studios. 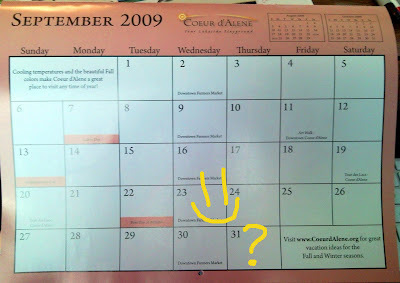 This year's also features a special mystery day in September... the 31st! If babies are born on September 31, will they ever have a birthday?? Congratulations to Madison Leonard, Idaho's newest Junior Miss. Madison is a local girl from Couer Coeur d'Alene. I'm sure she'd agree it's understandable for folks from out of the area to misspell her home town. But for the local newspaper to mangle it??? Come on! 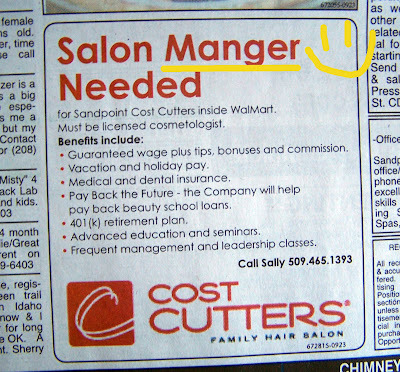 It appears the Cost Cutters in Sandpoint is in the market for a manger for their salon. That's a pretty big ad so they must be planning a pretty big manger scene for Christmas. I wonder if the kings, shepherds, angels, animals and baby Jesus qualify for the 401 (k) and paid vacations, too. 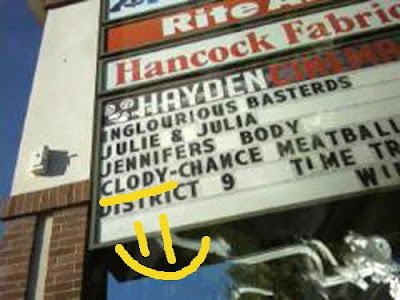 Looks like it's going to be a bit clody out according to the Hayden Cinemas. Submitter Brittany says the sign reads the same on both sides. Nice. I also notice the "N" in "chance" is backwards. Is this a secret code?? Robert Langdon - where are you when we need you?? 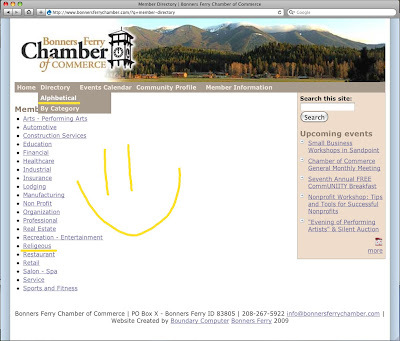 While visiting the Idaho Travel Council grant funded Bonners Ferry Chamber of Commerce website, I was surprised to find a glaring spelling disaster. Imagine the shock when I saw yet another SD! That site does not have enough words to warrant TWO booboos. And menu booboos, too. I was curious to see if the Religeous organizations were listed Alphbetically and am sadly disappointed that there are no Religeous organizations listed at all. I've been picking on the good folks at the Coeur d'Alene Press quite a bit so today is the Spokesman Review's turn. This story appears in the on-line edition of the paper. 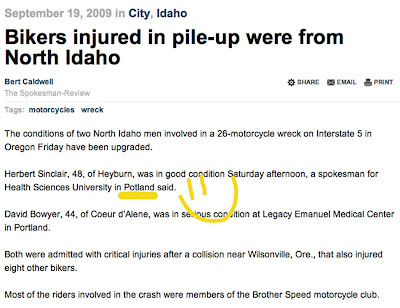 Kerri sent this in saying, "Check out the second sentence ... looks like Portland's hippie reputation continues. :)"
I wonder where the story writer's thoughts were while he penned this... "Yeah, dude! I just gotta write this blurb about a motorcycle gang gettin' all crashed up then I'll be there! I'll bring the PBR and cheeseburgers. You got the other stuff? Want Doritos, too?" Thanks Kerri for another, um, SMOKIN' submission!! They are really going GREEN in Oregon! Not only can you recycle your newspapers and aluminum cans, you can recycle grandma, too! 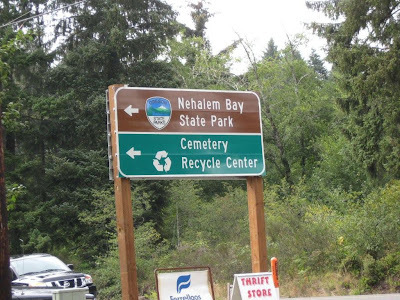 And do it all on your way to the Nehalem Bay State Park!!! Maybe the Death With Dignity Act has paved the way. Thanks to Chris for this thought provoking photo. Not a spelling disaster, but a WTF disaster! 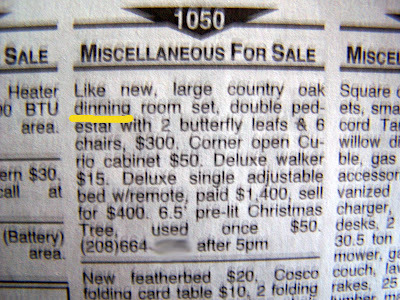 I don't know why, but the misspelling of "dining" always puts a smile on my face. The Dinning sounds like the name of a movie. A horror movie. With Jack Nicholson wielding an ax and fancy drinks made from Redrum served by a bartender with a questionable spirit. The Dinning.... coming soon to a theater near you. It's big! It's bold! It's the headline! 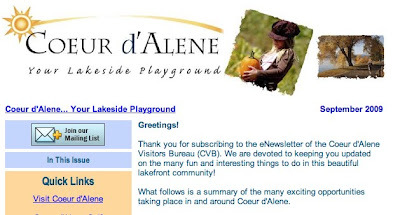 Once again the powers that be at the Coeur d'Alene Press misspelled the name of a town in Idaho. They got it right in the story multiple times. 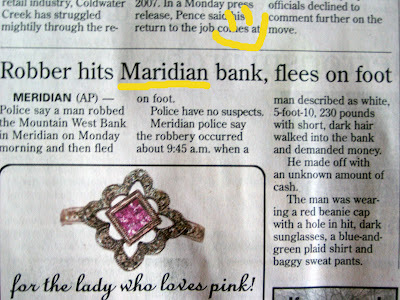 Maybe they figure no one reads the headlines anyway so why bother getting the town name right. Maybe they spelled the town name wrong on purpose to get people to read the story. Maybe they just don't care. edit** OMG! I just noticed that the robber was "wearing a red beanie cap with a hole in hit" !!! There is no better way to make your point about keeping medical marijuana dispensaries open than to protest. It is especially important to make your nead of pot medical marijuana known by creating persuasive signs highlighting that nead. I'm happy the Spokesman Review was able to capture this important moment in history! 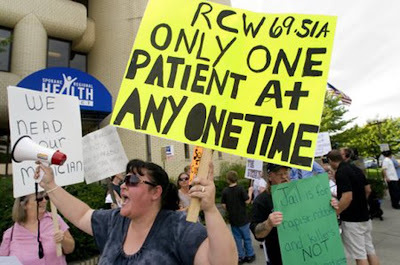 "Behind the bullhorn you'll see that these people are in nead of their medication!" Presenting... Another disaster from the CdA Press! 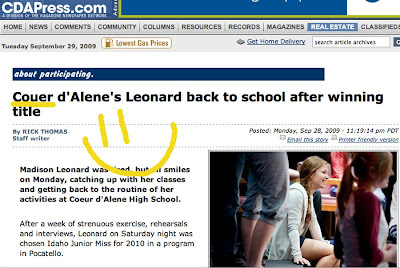 There are so few things you can count on in life... death, taxes and the Coeur d'Alene Press having the wrong word in a story. In this gem, the Press writer is sharing the story of a man who saved Tubbs by responding to a fire, presenting a larger blaze. Wait, what? 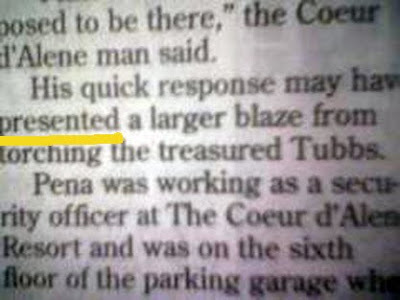 He presented a larger blaze? "Hello world! Let me present my friend, Blaze!" Thanks to Brad, an avid Press reader and spelling disaster locator! La Bella Amore Italian Bistro is located in the mountain town of Tehachapi, California. Tehachapi is famous for the railroad (Tehachapi Loop), the wind turbines and the maximum security men's prison that housed Lyle Menendez among other notorious criminals. Tehachapi is a cute little town and worthy of a stop if you happen to be on Rt 58 going between Bakersfield and Mojave. 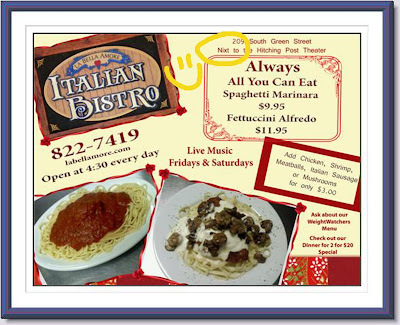 You may even want to find this little Italian Bistro... it's right nixt to the Hitching Post Theater. Before saunterin' in, y'all may wanna straighten up that cowboy hat and dust off yer britches. "I guess they write with a cowboy accent. Being right by the Hitching Post must be rubbing off on these Italian cowboys." While watching the show Verminators on the Discovery Channel, we had to stop and ask how the roaches could be killed with posion. Maybe that's just extra strong poison. Or maybe it's a new fragrance by Liz Clairborne. Whatever it is, we enjoyed the show. It had just the right mix of gross and disgusting sprinkled with humanity. I just don't know what to say.... I really, really just don't know what to say. 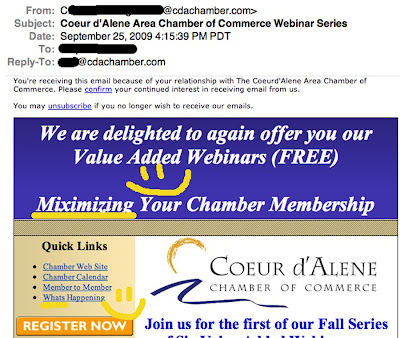 I love recieving the weekley enewsletter from the Couer d'Lane Chamber of Comerce. Not for the area info, but to find all the typos and grammar goofs. After weeks and weeks of having these very unprofessional emails arrive in my inbox, I'm throwing my arms in the air and posting them on here. 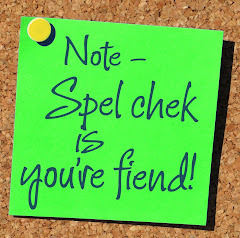 My opinion: if an organization is receiving over $300,000 in grant funds from the State of Idaho to promote Coeur d'Alene, they really should ask the spelling and grammar challenged head of all things technology to have someone proof his work before he hits "send". "With the average tempertures in the mid 70's" I had no idea temperatures in the 70s were so possessive. "Take a lake cruise, a stroll downtown to check out the unique shops and dining experience." Ouch... just, OUCH!! 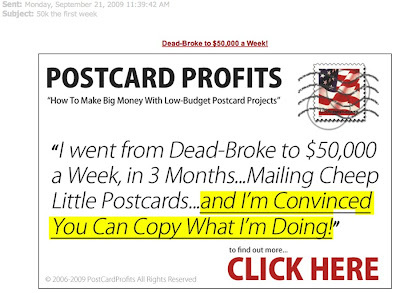 "As a virtual local you will learn where all the best deals are and secrete local spots from other locals on Facebook. " Please, please tell me what is being secreted from local spots? Pus? Blood? Generalized ooze? Money from tourist pockets? Never mind. Please don't tell me. I really don't want to know. "If you have any questions, concerns or just want to let me know how good of a job I did! 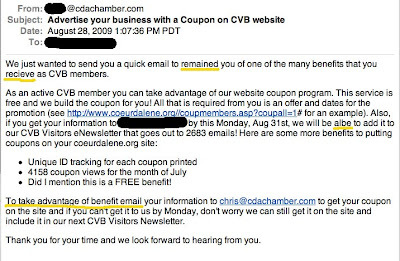 You can contact me at xxxxx@cdachamber.com" Dude, do you really want us to let you know! How good of a job you did? 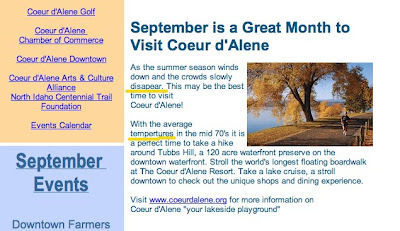 You have been spelling "Coeur d'Alene" correctly consistently. We appreciate that.